Bursting into full bloom, glorious flowers herald the end of winter blues and the arrival of spring. This floral pattern is featured in Virginia's curved book, "SLOW DOWN, CURVES AHEAD", and is remarkably quick and easy to make using CREATIVE CURVES ELLIPSE RULER (oval curves) to cut the various curves pieces and Starr Designs shapes. Delightful floral arrangement is pieced with Virginia's unique "no pins" oval curved piecing technique. 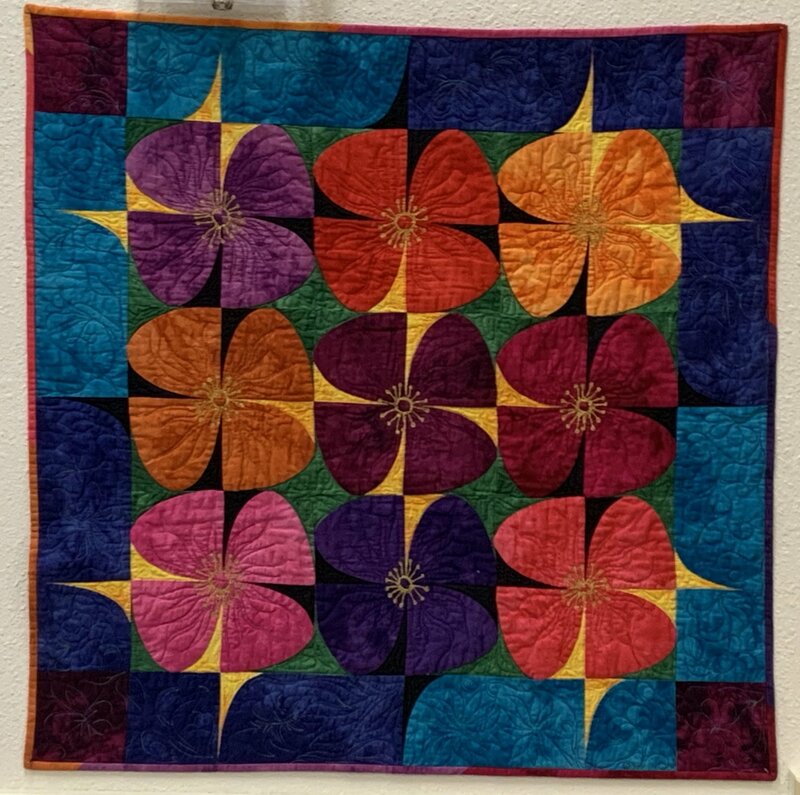 The option of making this wallhanging into a larger quilt will be discussed during class.